The following is a guest post/interview conducted by David Malekar, who regularly contributes content to the WashCo Chronicle. You can reach Time Warp Media through their Facebook page. Professional Wrestler, AJ Styles appeared at Time Warp Media on May 31, 2014 for autographs and photography with fans from all over the county. There were a few hundred fans who turned out for the event. 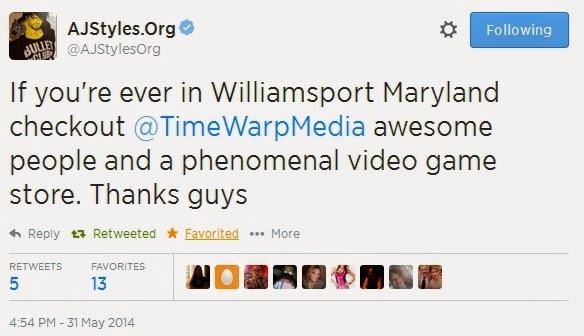 Video showcases some of the store and a interview with AJ and his thoughts on Time Warp Media, located at 5 East Salisbury Street, Williamsport, Maryland. AJ published the above tweet on his Twitter account AJStyles.Org shortly after the event. Mark Canoles and Jason Wilcox at Time Warp Media specialize in classic video game systems and games. You can buy and sell your consoles or games on location. Be sure to follow them on facebook for more updates and events. The 2014 Maryland Primaries will take place on June 24. The WashCo Chronicle has acquired the "proof" or "draft" ballot for Washington County, and is providing the ballot for the convenience of our readers. There are three separate ballots. One ballot for Democrats, one ballot for Republicans, and one ballot for all other party members and independent voters. Primaries are very important to local elections - your choices can make a real difference. Something important to note - for positions which allow you to pick more than one candidate, it's important to realize that you are not required to pick the maximum. For example, if there is one specific candidate you would like to see elected to board of education, and you don't want to vote for others, not only are you not required to vote for additional candidates, but it could be counter-productive to do so. You see, the winners of the primaries are determined by totaling the votes for each candidate. Bob votes for candidate C, D, and E. He really wants candidate C to win the primaries, but he picked D and E because he can vote for three. Sally votes for candidate A, C, and E. She also wants candidate C to with the primaries, but picked A and E because she can vote for three. David votes for candidate A, D and E.
Mary votes for candidate A, B and D.
Now, let's tally the votes. But what happens if Bob and Sally only vote for one candidate? So what happened? By voting for additional candidates beyond the one they wanted, Bob and Sally accidentally voted candidate C out. So keep in mind Bob and Sally's mistake when voting at the primaries, and only vote for the candidates you want in office, even if that means not voting for the maximum number of choices. Here are the categories voters will be able to decide on. As a general rule, I try not to post opinion pieces. In fact, I try not to post anything at all - and allow the community (through independent contributors) to have their voice. As the editor of the WashCo Chronicle, I strive to remain neutral on all topics, and let the facts speak for themselves. However, I feel it is necessary to address recent issues brought up by both traditional media and social media posters. Specifically, the issue of digging up "dirt" on politicians. So while we're on the topic of dirt, I'm going to let you in on a dirty little secret. Dirt is typically an intentional distraction from the real issues. Digging up dirt on politicians is an age old tradition used to distract people from the facts, especially when opposing candidates have a weak political platform, or view someone as a threat to their candidacy. It's also important to note that sometimes, media outlets or social media posters will purposely dig up dirt on political candidates, in order to convince voters to vote for someone else. Lynda Givens Evans, a conservative blogger, made a very interesting observation about the Washington County Board of Education elections - there are currently three openings, and interestingly enough, another media outlet conveniently omitted dirt on three candidates. While it is impossible to know if this was intentional or not by the other media outlet, it should be noted that in most cases, the "dirt" has nothing to do with the Board of Education elections. The fact of the matter is, if you do enough digging you can find something negative about anyone. People make mistakes - they're only human. Making mistakes is how we learn. 1) Does this really impact a candidate's ability to perform the elected office? 2) Where is this information coming from? Is it possible the information is being purposely displayed to discourage you from voting for this candidate, or does it actually portray a fair, balanced view of all candidates? 3) Does this affect a candidate's views on important issues? Or is it just a distraction? Focus on the issues at hand, and not just the negative information. Don't pick a candidate due to lack of a known rocky past. Instead, pick a candidate based upon how they will perform in office, and their views on the issues at hand. I hope that with this information, you too can be an informed voter, and help to better our community. 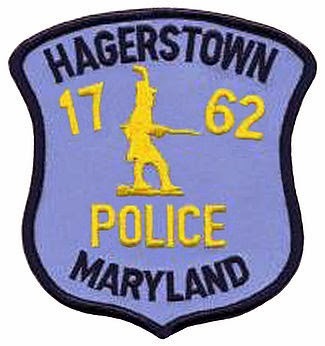 Hagerstown, MD - Citizens looking to dispose of unused, unwanted or expired prescription and over-the-counter medications can now use the safe and secure permanent drop off box in the lobby of the Hagerstown Police Department, 50 N. Burhans Blvd., Hagerstown MD. HPD has partnered with the Washington County Health Department to establish a permanent medication collection program aiming to reduce the availability of these medications that can potentially harm children, teens and adults. According to the 2011 Substance Abuse and Mental Health Services Administration’s National Survey on Drug Use and Health (NSDUH), more than six million Americans abuse prescription medications. Among youth who are 12 to 17 years old, 7.4 percent report using unauthorized prescription drugs during the past year. “Our lobby drop off box provides Hagerstown citizens with a safe, no-questions-asked location to get rid of unwanted medications. Non-medical prescription drug use by teens can lead to abuse of dangerous illegal drugs such as heroin. We believe that removing unused prescriptions from a home where teens and children live or visit is a positive first step in keeping children in our community safe,” said Mark Holtzman, Chief of the Hagerstown Police Department. "The safe disposal of unused, unwanted or expired medications is crucial to properly safeguarding the environment, and deterring medication diversion in our county. We strongly encourage our county’s residents to dispose of their medication," said April Rouzer, Administrative Officer of the Washington County Health Department. Properly disposing of excess medications is everyone’s responsibility. More than 70 percent of young people abusing prescription pain relievers get them through friends or family, a statistic that includes raiding the family medicine cabinet. Now Hagerstown citizens will not be required to wait for a specific take-back day to clean out their medicine cabinets. The collection unit, a MedReturn safe-box, is located in HPD’s front lobby which is open from 8:00 AM to 6:00 PM Monday through Friday. Help law enforcement and the public safety and health of our community by dropping off unwanted or expired medications in a safe, secure location. For further information, please contact Chief Holtzman at 301 790-3700. Rod Pearson Sr (center) with his family, children, and grand children. The following is a guest post/interview conducted by David Malekar, who regularly contributes content to the WashCo Chronicle. The interviewee, Rodney Pearson Sr, is the candidate for Washington County Commissioner. You can contact Rod through his Facebook page. A very big thank you to Rod for participating in this interview. DM: Thank you Mr. Pearson for taking part in this interview to help the Washington County voters know more about you and more campaign. You have stated before that you are "not a politician," but a "working man" who has extensive experience with farming and agriculture. Personally, I find it important that you are a working citizen and know the hardships that we face, first hand. Would you please give us more information about yourself and what inspired you to run in this year's election? RP: Regarding additional background information about myself; I am 65 years old. I have been married for 37 years and together with my wife Nancy, have raised 6 children; all of whom graduated from Boonsboro High School. I retired three years ago from a 42 year career in the wholesale food distribution business; this career included 19 years in ownership, to focus full attention on improving the Pearson Family Farm that I both own and operate. My additional past business experience includes a restaurant partnership and a few real estate partnerships. Additionally I am a former licensed, and successful licensed Realtor. At the time that I retired, I planned to run for the office of Washington County Commissioner. I have owned property in Washington County since 1968; and I have lived in Washington County since 1978. During this period of time I have had serious concerns about the quality of local elected government; and I quite frankly believe that the citizens of Washington County deserve better from their elected BOCC than they now get. Washington County consistently has the third highest unemployment rate in the state; has an illiteracy rate of 17%, has about 11.5% of its citizens living below the poverty level, has an average annual household income level that is 20k less than the state average, and 30k less than our neighboring Frederick County. I could state more facts about the deficiencies in Washington County, however I think you get my point. The shame here is that these are not new facts; these have been the facts about Washington County for many years. Our current BOCC; and their predecessor boards have had many opportunities to correct the problems in Washington County, and they have not. For the past four years the BOCC has lacked leadership, transparency, and accomplishment. Additionally they lack no new ideas as to how to turn the county around. Therefore it is time to give people such as myself, who offer new ideas and real leadership an opportunity to change the course of events in Washington County for the better. The citizens deserve better; and I will do better. DM: What would you say is your main course of action if elected this year as County Commissioner? RP: My top priority as a county commissioner will be to grow our economy. I am proposing that the county create an Economic Opportunity Zone, that would overlay the entire county. This would allow us to eliminate the regressive commercial building excise tax, and to offer tax and loan incentives to attract new business. I would also move to create an independent and powerful economic development commission, headed by an "economic Czar" and empower them to go out and "bring home the bacon" for Washington County. We must create a very business friendly environment in Washington County; we must then identify those businesses that we would like to relocate or expand into Washington County and then go and knock on their door. We must become very proactive in going after new businesses; rather than do what we now do, which is to sit back and wait for them to come to us. We are currently losing many businesses and business opportunities because Washington County is simply not business friendly. I will change that; with the help of other new faces on the BOCC. DM: Who would oversee the management of the “economic Czar” and what kind of resources would be provided to them? Transparency is also a concern, can you elaborate more? RP: Regarding the "Economic Czar" that I propose to place in charge of "real economic development" in Washington County. This individual would be hired by the BOCC after an extensive search process; a process much like what is done in the search for a new Superintendent of Schools. I want to find a highly qualified individual, with proven skills in the area of economic development. I want for this person to have a proven track record, and a lot of experience in the real world of economic development. I would cast a broad net in searching for this person; I would like to see a nationwide search complete with many personal interviews before an "Economic Czar" is hired. As to the supervision of the Economic Czar; this person would be accountable to the BOCC; he or she would, however have a lot of authority and autonomy; the BOCC would hold regular meetings with this person and the Economic Development Authority would be required to submit monthly progress reports to the BOCC. I do not want economic development to become politicized; therefore an independent economic authority would be in the best position to succeed in actually growing the economy in Washington County. DM: What are some of the challenges you feel you will face early on as County Commissioner in Washington County? How do you plan on overcoming those challenges and making the positive difference? RP: The biggest challenge that I foresee in changing the course of Washington County is restoring leadership to elected county government. Currently the BOCC is not leading the agenda, or the county. The county staff is really running the county. When I am elected I will move to have public "work sessions" of the BOCC, not just voting sessions. The commissioners need to work to set the agenda for the county; and they need to discuss and establish public policy before they vote on it. I would also like to have BOCC meetings later in the day to encourage much larger public participation than we now have. County government is not now transparent; I will work to make it both transparent and responsive to all 150k citizens of the county. I plan to be a full time commissioner with regular office hours; I will answer my phone; I will return messages and I will go and see citizens to help them with their problems. DM: Long term, what actions do you plan on making that will further help Washington County for the future? RP: The most important long term problem in Washington County is our stagnant economy. If we do not start today to put into place what is needed to create a business friendly "nest" for business, and attract new businesses and jobs to Washington County, we are doomed. As I write this answer there are 1500 fewer people working in Washington County than there were one year ago today! If this trend continues; some future BOCC will be faced with the need to either radically cut services to the public; or raise taxes. I do not want to do either. I want to grow the size of our economic pie so that we will be able to create new tax revenue through growth not through increased taxes. Washington County needs to wake up today! The citizens of Washington County need to elect me and people like me who have an support new ideas to grow our economy. We cannot continue to rearrange the deck chairs on the Titanic here in Washington County; we are sinking and the time for change is at hand. DM: It’s great to see your goals towards a more open and working with the community approach. I know small business owners will appreciate your open support as well. Washington County does need to “wake up” and realize that leadership affects them in their everyday life, directly or indirectly; especially if anything can be done about the lack of job opportunity for many residents within the area. In closing, what would you like to summarize for the readers and voters of Washington County? RP: In closing; I would like to remind the voters in Washington County, that they will get the government that they deserve; because they will get the government that they vote for. If the voters in Washington County are happy living in a county that always has the third highest unemployment rate in the state, has an illiteracy rate of 17%, has a per household income that is 20k less than the state average, has about 11.5% of its citizens living below the poverty line, has roads that are crumbling, lacks governmental transparency, lacks leadership from our elected leaders and most of all lacks any accomplishment from county government during the last four years; then they can vote for the current group of County Commissioners; because they are all running. If on the other hand; you believe as I do; that you deserve better than you are now getting from your county Commissioners; then I ask for you to vote for Pearson on June 24th. I will do better for you. I will be a full time hands on Commissioner. I will answer my phone and return your calls and emails. I will come to you if you need me. I have a plan; I have a vision; I believe that I am your best choice for your future and that of your family and business in Washington County. Photo courtesy Rodney Pearson, Sr. The above video is coverage of the Gubernatorial Candidates' forum that was hosted by The Business & Professional Women of Maryland (BPW/MD) on Friday, May 16, 2014 at the Hilton Garden Inn Frederick, MD. Introducing the WashCo Community Wiki! Introducing the WashCo Community Wiki! The community Wiki anyone can edit! 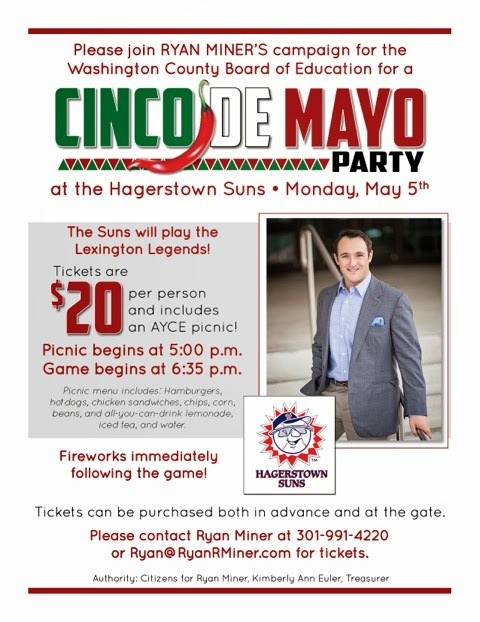 All too often, I see posts on Facebook and other social media asking "Where's the best place for <this> in Hagerstown area?" Now, you can help others and provide your recommendations on local businesses, events, and more! Please visit the WashCo Wiki and contribute today! 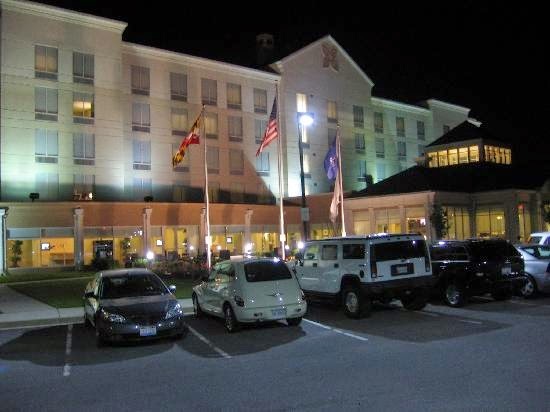 The Business & Professional Women of Maryland (BPW/MD) is delighted that you will be participating in the Gubernatorial Candidates' forum on Friday, May 16, at 7 pm at the Hilton Garden Inn, 7226 Corporate Ct, Frederick, Maryland. 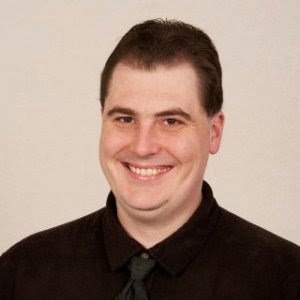 Libertarian Candidate, Shawn Quinn is confirmed for the appearance. The following is a guest post/interview conducted by David Malekar, who regularly contributes content to the WashCo Chronicle. The interviewee, Shawn Quinn, is the Libertarian candidate for Governor of Maryland. You can contact Shawn through his Facebook page. Many thanks to David and Shawn for providing this interview! DM: Thank you for taking the time out of your busy schedule to inform the citizens of Western Maryland about your campaign for Governor of Maryland, representing the Libertarian Party. Could you provide us with a little bit about your history and how you earned your place as the Libertarian candidate for 2014? 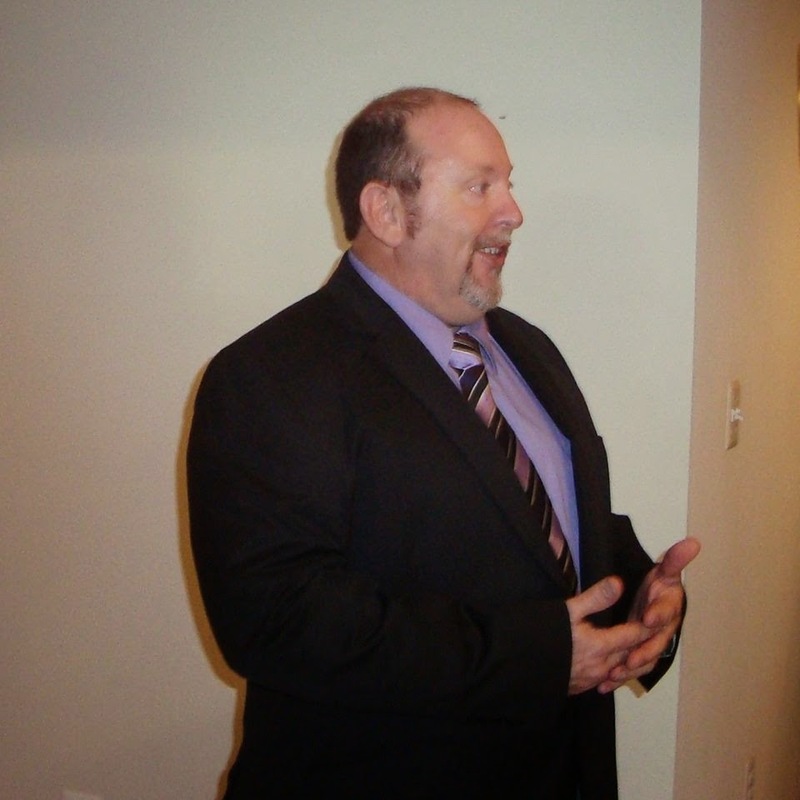 SQ: I am a Central Committee member of the Maryland Libertarian Party and a retired veteran of the United States Navy. I possess 20 years of Military experience, 7 years of health and safety experience with the American Red Cross, 5 years of Law Enforcement experience with the City of Newport News and 5 years experience as a hazardous material truck driver. I also ran for a seat in the House of Delegates in 2010. I started looking at the governor’s office back in 2012 when I heard about the rain tax. There were lots of meetings, with lots of folks, about who we as a party could run. The person would have to be good for the state and represent the Libertarian party. I was very surprised when that person ended up being me. I was all in when my running mate Lorenzo Gaztanaga told me he wanted to run with me. This is a man I have great respect for. He walks the walk and no one I have ever met cares more about people. We received the parties blessing in Oct.2013 and filed for office in Nov.2013. DM: It's a refreshing change to see someone with an extensive hands on background running to represent the people of Maryland. What are some of the most critical objectives that you have going into this election? SQ: I think the most Critical objective is term limits for all elected offices in Maryland. We have the western half of the state wanting to recede, the eastern shore feeling they have no voice and Annapolis is selling out a county in order to keep getting federal dollars. We will never have a fair voice for all until we limit power of long term politicians. Next the tax code needs to be overhauled. We have over 47 taxes in Maryland. Sales tax needs to be reduced to 3%. Income tax needs to be a flat rate. Gas tax is totally out of hand. School taxes need to stay local. Everything is on the table. While overhauling the tax code we need to do the same for state regulations. It is well passed time to rein in all these state departments writing regulations with zero oversight. I also am tired of the government stepping all over citizen’s rights. This is going to stop if I get elected. Fixing these things will bring growth and jobs to Maryland that don’t depend on the federal government. DM: What are you opinions on the "rain tax" that was implemented in 2012 for Maryland. Would you make any changes? SQ: Where to even start on this loser. It will be on the way to the trash can if I get elected. DM: With an extensive and logical overhaul to the tax system as you suggest, the people of Maryland will certainly be more invested in a vote for that candidate's platform. Many voters have voiced their concerns over such taxes as the "rain tax" and feel as if their voice is unheard. What changes would you impose to further listen to the citizens of Maryland if elected? SQ: I would have to say that the problem is that the two party agenda politicians choose not to listen. The people are only important to them when they need their vote. I on the other hand I try to listen to everyone who wishes to talk to me. Sure I don’t agree with everybody I talk too but I still listen and try to research what they tell me. I plan on keeping the Governor’s door open as much as possible. My goal is to always support the people first and foremost. Business as usual is about to change in favor of the people. DM: Based off the great success we have seen in state revenue from legalization of marijuana in Washington and Colorado, would you implement a similar system for Maryland to take advantage of income and reduction of cost on the legal system for marijuana charges? SQ: I would look at their systems but I would like to think we could come up with a system that is able to collect revenue without making taxes so high that it causes a crime similar to New York’s cigarette problem. I would also like to see the revenue go into the health care system. The legal system will be provided with a great number of beds for violent offenders. Saved revenue from incarcerating people for marijuana could be put forth for rehab. This would be a big win for the people. DM: Can you expand a little more on your plans to help unite Western Maryland with the rest of the state again to avoid further tensions? SQ: This is going to take some sit downs and some open and honest discussions. When people are pushed to the breaking point they are not just going to accept out of the blue hope for change. I am going to have to earn their respect and prove to them that I do care about their problems. Flag waving and table pounding is not going to fix this problem. It’s going to take sitting down and listening on my part. Only then can we together come up with meaningful change. I am willing to do my part and I hope they will come to the table. DM: Are there any other long term goals you would like to expand on that could only happen with a libertarian candidate platform? SQ: Long term I would like to see all of our freedoms restored. I would like to see people able to live their lives without Government interference. I would like to see our children all get a great education. I would love to see anyone who wants to run for an office, be able to do so without all the crappy rules the two party agenda has put in place to maintain their power and control. I think the only way this will ever happen is with a Libertarian Governor, a Libertarian Attorney General and Libertarians in the House and Senate to offset all the harm the two party agenda has done to us. DM: Considering Maryland is one of the few states with such demanding and restricting issues with self-defense and concealed carry, many disagree with the confines in place. What changes would you make to help Maryland be more second amendment acceptable? SQ: Anyone who knows me will tell you I hold the Constitution and Bill of Rights in high regard. I did serve twenty years defending them. I am in favor of all law abiding citizens owning any firearms they choose. I also believe law abiding citizens should be able to conceal carry. It really turns my stomach when I see politicians ignore their citizens and pass laws that stomp all over these rights. As Governor, I will be in charge of the State Police, so carry is easily fixable. Repealing laws that are on the books is harder but it can be done and I will work to that end. In closing I would like to say that if we were to cut our state into three parts right now, Western, Central and the Eastern Shore. We would find that two thirds of our state feels that they don’t count. One third even wants to become their own State. This is unacceptable. Citizens should never be made to feel this way. Flag waving, table pounding and million dollar commercials are not going to fix this. Like all problems we have to start with admission. Admitting that the Two Party agenda brought us to this bleak point. Admitting that we the people have allow ourselves to be taken advantage of. All of us are responsible. It’s a hard truth that many will not except. The nice thing about mistakes is that they can always be corrected after they are accepted. Closing our eyes and voting for the same outcome will not do. We can fix this. I ask you to be brave and take a chance on me in November. I will work hard to gain your trust. I will hold politicians accountable. I will be accountable to you. You hold the power in your hands. I only ask that when you walk into your polling place, do so with your eyes open. If you are truly happy with your government, than by all means vote for the same thing again. On the other hand if you aren’t delighted with this two party agenda government. If you hate what they have given you, time and time again. If you are tired of the lies, then take a chance and throw in with me. I can only make changes with your help. I don’t think anyone can argue that our taxes are too high, we have too many regulations and we have no voice in Annapolis. Help me change all of this. Did you know it's illegal to obstruct or retard the passage of U.S. Mail? 18 U.S. Code § 1701 - Whoever knowingly and willfully obstructs or retards the passage of the mail, or any carrier or conveyance carrying the mail, shall be fined under this title or imprisoned not more than six months, or both. Apparently, the Herald-Mail was unaware of this law. 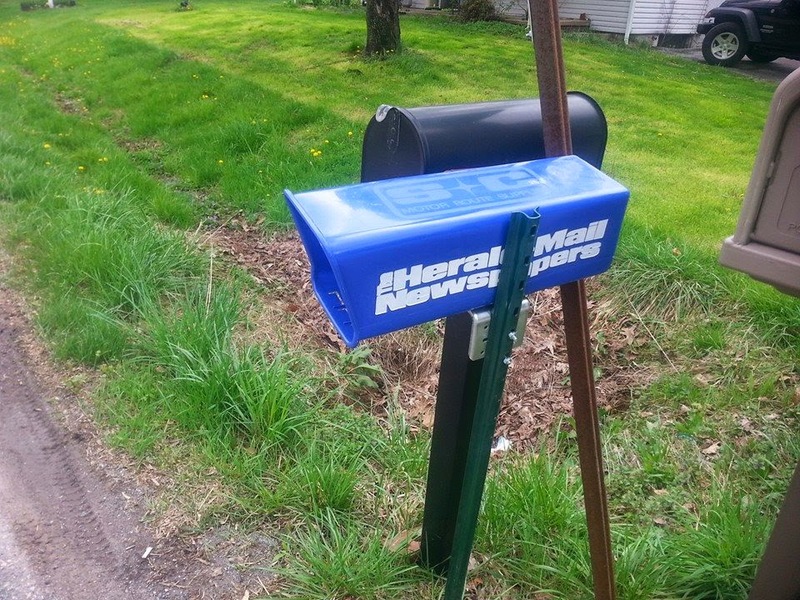 This paper box was completely blocking a mailbox. How's that for "What's wrong with this picture?"